Dernière modification par Eyeshield21 le 28 sept. 2018, 12:00, modifié 6 fois. is changing for the 2017-18 NBA season. The product’s calling-card inclusions, however, will remain comfortably intact. 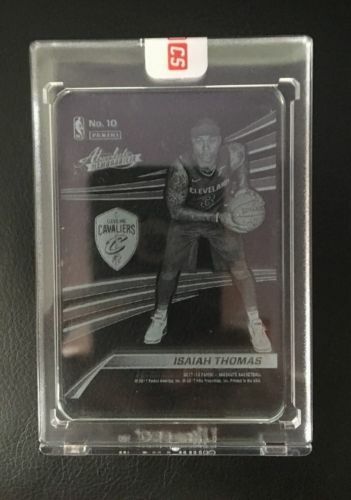 After all, what would Absolute Memorabilia be without Tools of the Trade and rare Absolute Glass inserts? 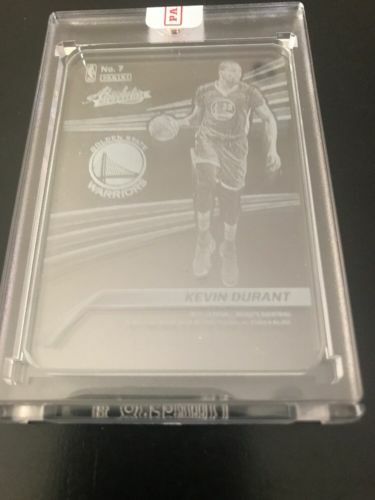 will notice about 2017-18 Absolute Memorabilia (aside from a new configuration) is the existence of one Uncirculated slabbed card in each pack. One Uncirculated card in each box will feature a member of the 2017 NBA Draft class, the other will feature a veteran. (three cards per pack, two packs per box) will deliver two Uncirculated slabbed cards, two autographs and two memorabilia cards. Put another way, each pack will yield one Uncirculated slabbed card, one autograph and one memorabilia card. The highlights of the reconfigured Absolute Memorabilia are many and include . . .
and either three, four or six swatches of memorabilia from a combination that includes jerseys, hats and basketballs. - The checklist includes 33 players who attended the 2017 NBA Rookie Photo Shoot. at the 2017 NBA Rookie Photo Shoot. - The ultra-rate Absolute Glass chase returns and falls at roughly once per case. 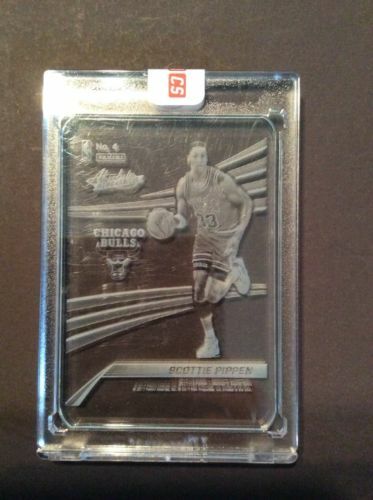 also find Pass the Rock Basketball memorabilia cards. Precision Signatures and Signature Standouts. 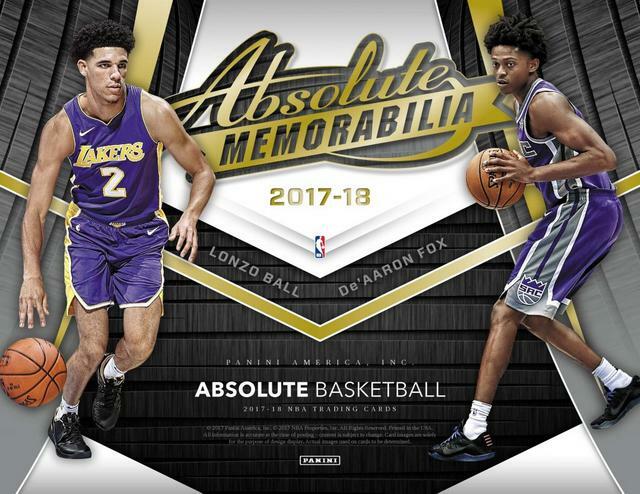 Showcasing a fresh design, 2017-18 Absolute Memorabilia brings familiar choices for collectors, and a few new things. Each hobby box delivers four hits, including a pair of autographs and relics, plus two uncirculated cards. to discover and a more clear expectation for the box hits. Signed at the 2017 NBA Rookie Photo Shoot, the main Rookie Autograph set features on-card signatures. The Draft Day Ink insert is another hard-signed option that features first-year players. 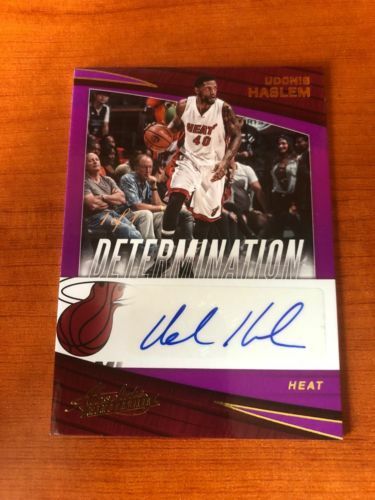 Additionally, other 2017-18 Panini Absolute autograph selections include Determination, Precision Signatures, and Signature Standouts. and the 2017-18 release continues that tradition by offering a plethora of relic pieces. a piece of basketball leather. from jerseys, hats, and basketballs. Four Swatch Signatures, and Six Swatch Signatures. This time around, Panini is adding slabbed cards to the mix with a pair landing in each two-pack box. 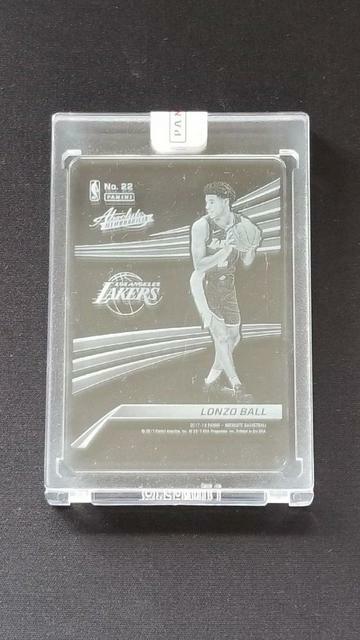 Not surprisingly, rookies have a big role on the 2017-18 Absolute Memorabilia checklist. This kicks off with the Tools of the Trade Signatures. Versions are available with either three, four or six pieces of memorabilia. In addition to jerseys, pieces of player-worn hats and player-used basketballs are also included. A total of 33 different rookies are included on the checklist. Rookie Autographs and Draft Day Ink both have on-card signatures. Veterans and retired stars have autographs in 2017-18 Panini Absolute Memorabilia as well. Among them are Signature Standouts, Determination and Precision Signatures. 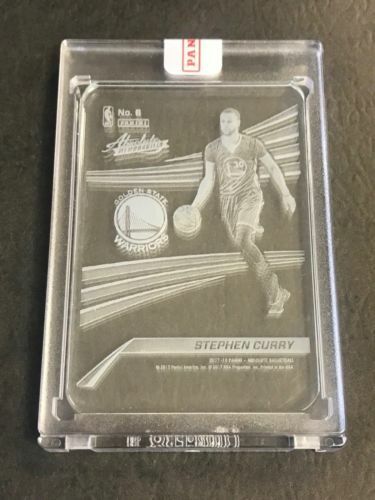 Glass cards return for another year. 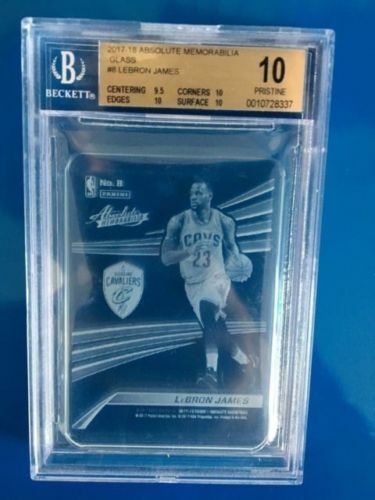 As usual, these are tough to pull, landing as a case hit. 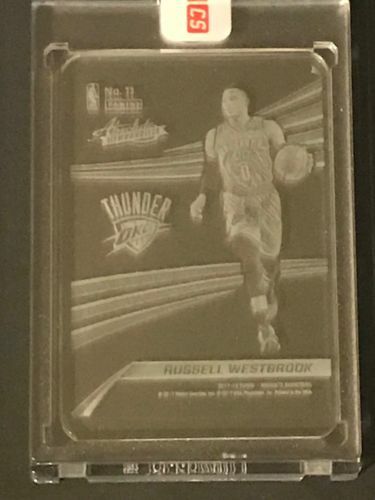 Of the two uncirculated and slabbed cards in each 2017-18 Absolute Memorabilia box, one is a rookie. and encased cards in its three-card packs. with three, four or six memorabilia pieces. 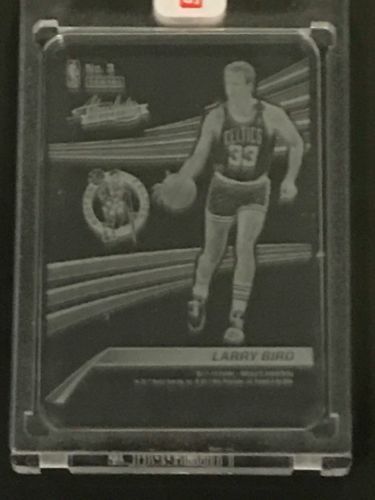 Among the items found in the cards for 33 rookies? jerseys, hats and basketballs for starters. and Precision Signatures will spotlight notable players from the past. On the memorabilia side there will be Pass The Rock cards. 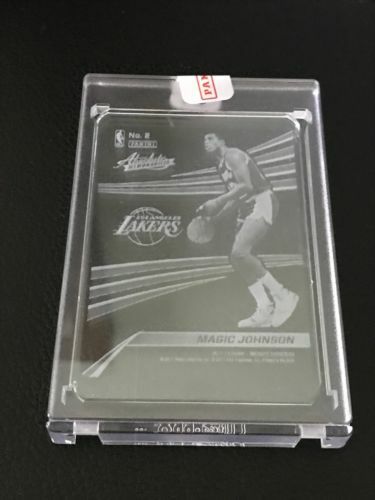 Of the two slabbed cards in every box, there will be one rookie, while there will be Absolute Glass inserts found one per case. These six-card boxes carry a $130 suggested retail price ($65 per pack). which are encased, with one featuring a 2017 draft pick. 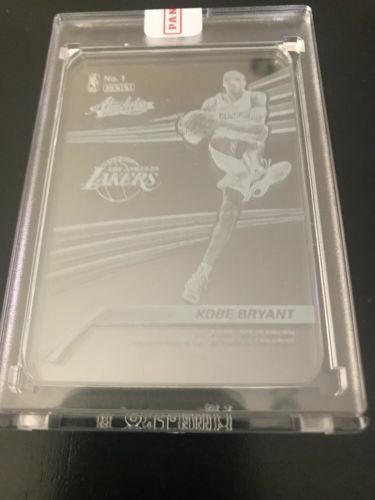 Lastly, the Absolute Glass insert falls one per case, making this a limited chase. to Quad swatch to Six Swatch Rookie Materials, Absolute has it all! Kevin Durant, Anthony Davis, Bill Russell, Grant Hill, Steve Nash, and more! with six swatches of memorabilia including jerseys, hats and basketballs! in Determination, Precision Signatures and Signature Standouts! and either three, four, or six swatches of memorabilia! Each card features combinations of jerseys, hats, and basketballs! Collect on-card autographs of the top rookies selected in the 2017 NBA Draft! Each card was signed at the 2017 NBA Rookie Photo Shoot! Look for uniquely themed autograph inserts highlighting top veterans and retired players! Also find Pass the Rock Basketball Memorabilia cards! from members of the 2016 NBA Draft Class, featuring swatches of jerseys, basketballs, hats and socks! - Find on-card Rookie Autographs and Draft Day Ink inserts! 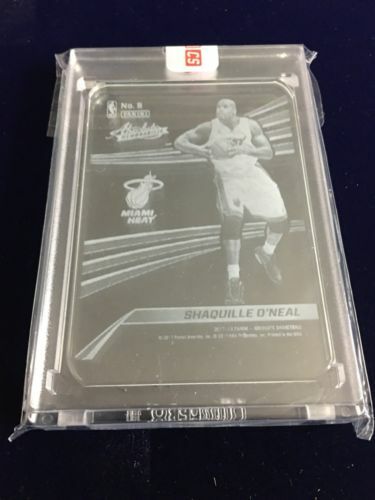 - Glass cards return; and are inserted at one per case! - Collect on-card autographs of your favorite veteran and retired players Heroes Autographs, and Marks of Fame all #'d/75 or less! - Find Jumbo, Prime, and Tag versions of memorabilia inserts, featuring current, retired and rookie players! - 2 Uncirculated Cards in Every Box! 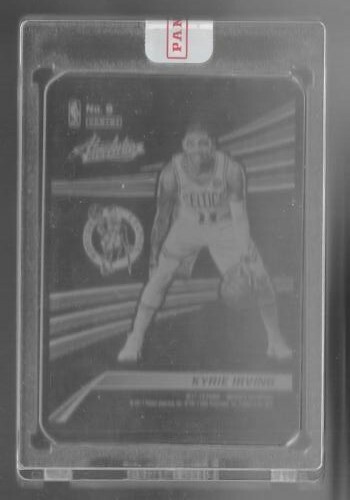 - Find two uncirculated slabbed cards in every box — one of them being a rookie from the 2017 NBA Draft Class. - Tools of the Trade Signature Swatches – Available in three, four and six swatch configurations. - Showcasing 33 rookies with swatches of memorabilia including jerseys, hats and basketballs! 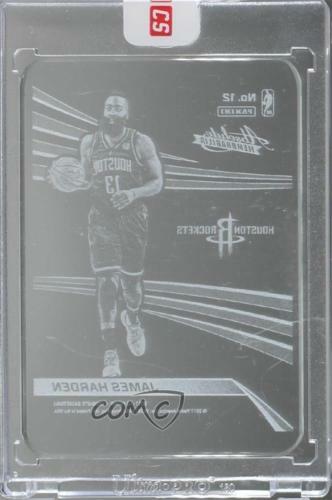 - Rookie Autographs – ON-CARD autographs of the top rookies selected in the 2017 NBA Draft. - Each card was signed at the 2017 NBA Rookie Photo Shoot. - Precision Signatures – Featuring a mix of veterans and retired legends. - Signature Standouts – Featuring a mix of veterans and retired legends. - 2 Memorabilia Cards in Every Box! - Pass The Rock Memorabilia – Highlighting top veterans and retired players. We’ll have much more on 2017-18 Absolute Memorabilia in the coming weeks right here on The Knight’s Lance. Dernière modification par Eyeshield21 le 13 mars 2019, 12:08, modifié 13 fois. in these final few days after Christmas. (2017-18 Absolute Memorabilia and 2017 Contenders Football) both slated to release on Friday. for the release of both products, beginning with today’s Quality Control Gallery featuring 2017-18 Absolute Memorabilia. The product features a configuration overhaul for 2017-18 with two three-card “packs” inside each box. In the revealing gallery that follows, we offer a quick but thorough examination of this year’s release. Dernière modification par Eyeshield21 le 13 mars 2019, 13:01, modifié 4 fois. 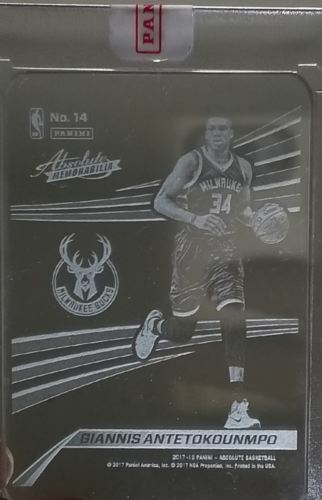 2017-18 Absolute Memorabilia Glass #23 Dennis Smith Jr.
Dernière modification par Eyeshield21 le 29 déc. 2017, 12:28, modifié 3 fois. with each box delivering two three-card packs. one autograph card and one memorabilia card. return, bolstered by one of the most hyped and impressive rookie classes in recent memory. Dernière modification par Eyeshield21 le 13 mars 2019, 13:02, modifié 3 fois.